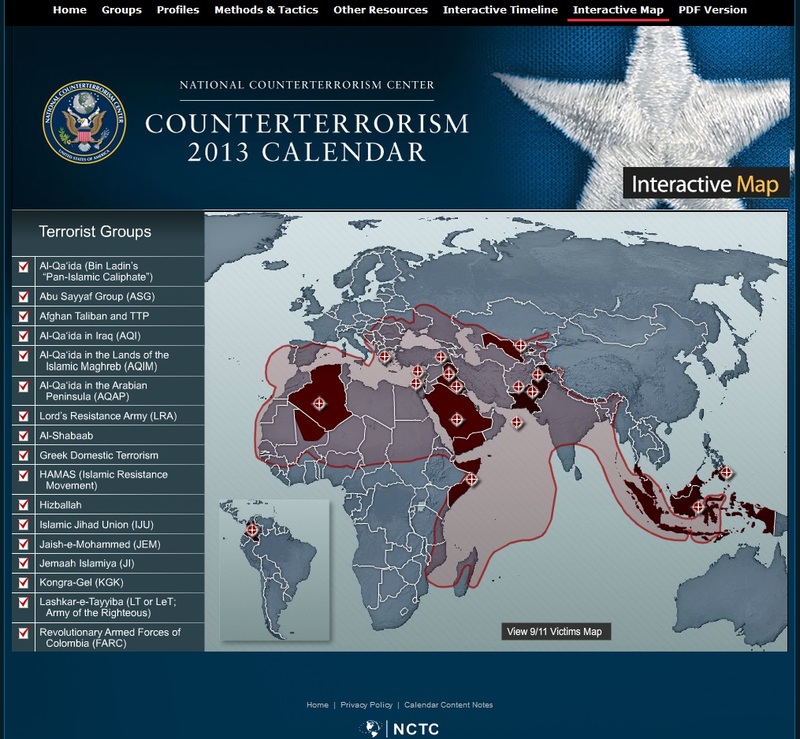 Screenshot of the National Counterterrorism Center’s Interactive Map, April 30, 2013. But in America’s sprawling security establishment, not everyone has stayed on message. Until this week, the website of the National Counterterrorism Center (NCTC) — the U.S. government’s primary counterterrorism clearinghouse — featured a map that appeared to identify the entire Muslim world as a terror zone. All of North Africa, the coast of East Africa, the Balkans, the Middle East, the north of India, and much of Southeast Asia was shaded in red. Wherever Muslims are a majority, the map implied, terrorism lurks. But this map misrepresented the geography of Islamic terrorism, which has been concentrated in only a handful of civil war zones and is rare or non-existent in most Muslim communities. The map also misrepresented American policy, which has avoided a blanket association of all Muslims with terrorism. The NCTC map literally threw a red blanket of terrorism over the Muslim populations of Africa and Eurasia. Plus, the map was half a millennium out of date. A month ago, I finally remembered where I had seen it before. It was almost identical to the boundaries of the Muslim world in 1500, as depicted in William Brice’s Historical Atlas of Islam (see below) . Professor Barbara von Schlegell’s webpage has long posted this and other maps as a teaching resource. Screenshot of the National Counter Terrorism Center Interactive Map , April 30, 2013 (left), and “The Muslim World circa A.D. 1500″ from William Brice, An Historical Atlas of Islam (Leiden, 1981), p. 11. As in Brice’s atlas, the NCTC map excluded Muslim-majority regions such as Mindanao in the Philippines and Xinjiang in western China. Both the Brice atlas and the NCTC map included portions of Eastern Europe, such as Romania and Serbia, presumably because they were part of the Ottoman Empire, although they have few Muslims today. Both maps cut a wavy line through the Indian Ocean. Interestingly, the NCTC map ignored the presence of Muslim communities that have developed in recent centuries in Western Europe and the Americas — a diaspora that has undermined the notion of a sharp dividing line between the so-called “Muslim world” and its neighbors. While the description was technically correct, the prospect of a unified caliphate was and remains so unlikely that al-Qa‘ida has rarely invoked it. I would have expected this pan-Islamic pipe dream to be less relevant to a counterterrorism center than the actual sites of al-Qa‘ida terrorism, including the 9/11 attacks six years earlier. Yet North America did not appear on the NCTC map. Since 2011, this region, shaded in red, has been the dominant feature of the agency’s Interactive Map, with no indication that it referred only to al-Qa‘ida’s aspirational caliphate. The webpage left the impression that the entire Muslim world constituted a terrorist threat. Last month, I inquired about the misleading map, and several days ago it disappeared from the homepage of the NCTC Interactive Map. 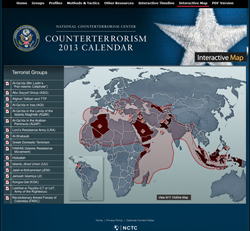 Screenshots of the National Counterterrorism Interactive Map, April 30, 2013 (left), and May 28, 2013 (right). Surely the NCTC is using more accurate maps for its in-house work. 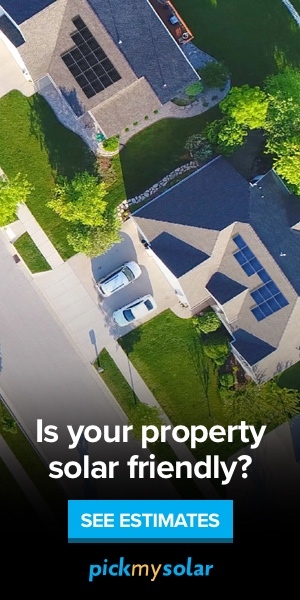 Perhaps the agency’s Interactive Map was developed by a graphic designer with limited familiarity with Muslim demographic trends or U.S. counterterrorism policy. Still, it is disconcerting that this was presented for several years as the public face of a major counterterrorism agency. The case of the faulty map highlights the challenges the White House faces in wrangling the swarm of American national security agencies into a single strategy. More than a decade after President Bush insisted that America is not at war with Islam, the NCTC’s web designers still had not gotten with the program. How long will it take the security establishment to adopt President Obama’s new insistence that we are no longer at war with terrorism? Charles Kurzman is a professor of sociology at the University of North Carolina at Chapel Hill and co-director of the Carolina Center for the Study of the Middle East and Muslim Civilizations. He is author of The Missing Martyrs: Why There Are So Few Muslim Terrorists (2011) and Muslim-American Terrorism: Declining Further (2013).